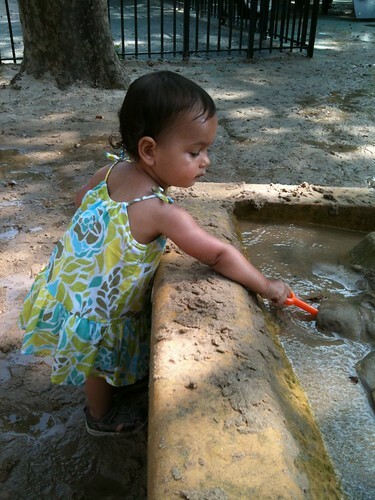 Laila making mud pies, originally uploaded by Salim Virji. Laila made some mud pies at our local park. This page contains a single entry by Salim M. Virji published on July 17, 2010 8:36 PM. Laila talking on her banana phone was the previous entry in this blog. Laila observing a ladybug on the chair. is the next entry in this blog.